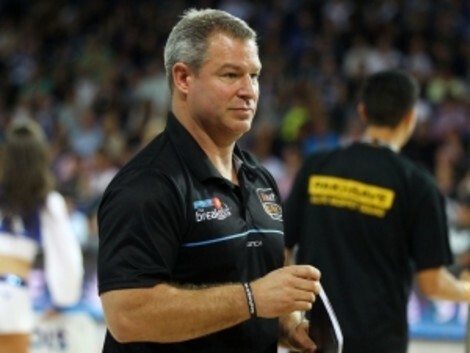 With the recent appointment of former Black Angel head coach Dean Vickerman to the head gig at the New Zealand Breakers, we thought this would be a good chance to get Dean to reminisce on his experience with us. Hey Dean mate, congratulations on your new appointment as head coach of the New Zealand Breakers! If we are to disregard cuffe's recent good form on Sunday nights at MSAC, it's probably safe to say you are now the highest profile ex-MUBC'er in basketball. How does it feel to be at the helm of the NBL's most successful club of recent years? It took over ten years as an assistant and 4 NBL Championships to get a job so - Relieved!!. I said a couple of years back that I wanted to be head coach of an NBL team with a chance to win a Championship. Taking over the 3-peat NBL Champions is a little more than you could have wished for but really looking forward to the opportunity. Winning 4 in a row has never been done before and that is the challenge that lies ahead. When you compare coaching NBL superstars like Cedric Jackson, Thomas Abercrombie and CJ Bruton to your experience coaching our Melbourne Uni Big V team in 2004 with superstar names like cuffe, norton and smoke, what sort of differences come to mind? Tough to compare players from NBL to Big V but smoke if the players in the NBL had your love for the game and your desire to dive after a loose ball we would have a much greater TV product. I remember struggling to find a basketball court in New Zealand when I visited in 1996. Now that you have been over there for some time, how would you describe the evolution of the game there in recent times? Still limited outdoor courts to get a run (not that my body would enjoy playing on the black top anymore) but indoor facilitiies have really advanced over the past 10 years. The SkyCity Breakers have really captured a major audience in NZ. We sell out Nth Shore events centre in a heart beat. We have over 3,000 members and then for big games we sell out Vector Arena which seats over 9,000. Our Merchandise sales have gone from $20,000 to close $300,000 in 8 years. Anything is possible for basketball in NZ at the moment. We have our own 2 court training facility with the works and there is even talk of the Breakers building its own playing venue in the future. We all recall legendary stories of coach Vickerman dealing with a certain ex-NBA import at his first training session when you were a player with the Melbourne Tigers. Care to take us back? "Dealing with Copeland" I carved him up, schooled........ Like most imports who get off the plane and into their 1st training - they do a very good job of running into screens. I knew the shuffle backwards and Copes had never seen it before. I used every cheat and read to get open and just had a day where everything went down. It was really nice of Copes to come up to me after and say "It's going to be great sharing the backcourt with you this season" I was like "Mate, I dont even get to play". I did hear later on that Copes had been to lunch with the GM who liked a drink to two but I dont often tell that part. Here at Black Angels headquarters, we all have fond memories of your season guiding us to the championship in the 2004 Big V season. What are your memories of MUBC that year? I must say that I enjoyed the feeling of winning the Big V Championship as much as an NBL Championship. The NBL has a lot more media and a lot more free beer after but at the end of the day I think the Black Angels only lost 3 or 4 games that season and swept the playoffs. You set a goal early, work hard and when you achieve that goal it is always rewarding. I dont remember the final that well but more the coaching techniques i tried and the people i coached. I remember having all the players lie on their backs in the locker room (a squash court) and attempt visualisation before a game. I could not see the Breakers buying into that one. We had great people at Melbourne Uni who loved the game and the club, I was extremly happy that they were rewarded with a Champioship. I loved trainings that year, always a great energy in the gym - 20 plus players from 2 teams going at it for a couple of hours, great fun. Update: Adrian Sturt who now plays pro in the UK trialed with the Breakers last year, I am catching up with Jamie Hagan for a beer in Sydney in two weeks and I heard that Sani Zorlak is still running the Geelong Mafia.... great times thanks Black Angels. Thanks so much for your time Dean and good luck for your upcoming NBL title defense. © Melbourne University Basketball Club 2019. This page was last updated by smoke on May 2nd, 2013.